Mild cardiomegaly refers to a less severe form of cardiomegaly, which is an enlargement of the heart. The heart is responsible for pumping blood throughout the circulatory system to ensure that all tissues and organs of the body are adequately supplied with oxygenated blood. Cardiomegaly is a condition where the heart becomes larger or hypertrophied due to being overworked. General hypertrophy: The heart is a muscle, and much like other muscles of the body, working harder makes them grow in size to compensate for the increased demand. This comes in the form of the heart pumping more frequently or with increased force. Having high blood pressure will result in the heart having to do more work to circulate blood throughout the body, causing cardiac muscles to hypertrophy or get bigger. Left ventricular hypertrophy: A form of mild cardiomegaly that affects only one chamber of the heart, the left ventricle. Normally, the left ventricle does the majority of blood pumping in healthy individuals. This makes most heart valve problems affect this chamber more harshly. Heart attack: Also known as a myocardial infarction, it is generally due to coronary artery disease. Sustaining a heart attack deprives heart muscle cells of oxygen-rich blood, leading to their damage and/or death. This can result in the heart to expand with the inability to contract normally. Congestive heart failure: A condition where not enough blood is reaching the rest of the body. Causes include past heart attacks, narrowed arteries, high blood pressure, heart disease, or an infection of the heart. Congestive heart failure results in the heart having to work harder to maintain the perfusion of blood, however, it often is insufficient and leads to cardiomegaly. Cardiomyopathy: Inflammation of the heart muscles caused by a variety of heart problems or a viral infection. This causes them to grow weaker, making the heart work harder to pump the same volume of blood throughout the body. This extra work leads to cardiomegaly. It is important to understand that problems with the heart, especially cases of cardiomegaly, should be treated with the aid of a trained medical professional. They will be able to provide effective medication, ensure proper monitoring, and give sound advice in all things related to heart health. Mild cardiomegaly may provide an opportunity to manage the condition on your own to prevent its progression. Heart conditions: Cases of atrial fibrillation often utilize antiarrhythmic medication and blood thinners to prevent clot formation. Heart valve disease will use diuretics, alpha/beta blocker to reduce blood pressure, and reduce stress on the heart. Metabolic disorders: Includes conditions such as diabetes and thyroid disease, both of which can lead to an enlarged heart if inadequately managed. Ensure these conditions are treated properly to help reduce complications like cardiomegaly. Lifestyle changes: Bad habits and certain lifestyle choice may increase the chances of developing mild cardiomegaly. It is recommended to quit smoking, reduce alcohol consumption, get enough sleep, eat more fruits and vegetables, eliminate unhealthy food from your diet, and to exercise more to help reduce your risk. 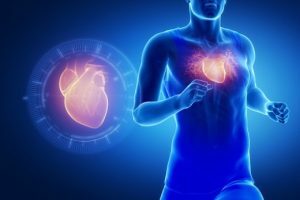 Natural cardiomegaly cures may prove useful when combined with a healthy diet and active lifestyle. Garlic: Used in a multitude of different cuisines and food dishes, garlic has many health benefits. It has proven to be useful for treating cardiovascular disease by helping to reduce cholesterol levels. Onion: Having anti-inflammatory properties, onions are great for treating a variety of health conditions. It also contains chromium, a substance that helps reduce blood sugar levels. Honey: Containing powerful antioxidant and antibacterial properties, honey is the simplest natural remedy for enlarged heart conditions that help prevent all types of cardiovascular diseases. Consume a few teaspoons daily to get theses beneficial effects. Asparagus: An excellent natural remedy that helps strengthen the heart muscles, making it more resilient to further complication. It can be eaten whole or blended to help extract its juices. Asparagus contains many essential vitamins and minerals that help keep the heart healthy. Green tea: Packed with antioxidants, helping to maintain heart health. Green tea can also be effective to regulate blood cholesterol levels and flush harmful toxins from your body. Mint leaves: Contain compounds that aim in maintaining normal blood pressure levels, mint leaves can be used in a variety of foods and drinks. Stress management: Stress can be an underlying condition of mild cardiomegaly. Too much stress may worsen your condition and possibly even lead to a heart attack. Learn meditation techniques to help you relax and speak to a medical professional about other ways to help you reduce stress levels. Exercise: Mild exercise such as walking or hiking can be great for overall heart health. Stay hydrated: Having an enlarged heart can lead to toxin build-up in the blood stream. By consuming plenty of water, you help to flush out these harmful toxins throughout the day and keep your heart muscles healthy.